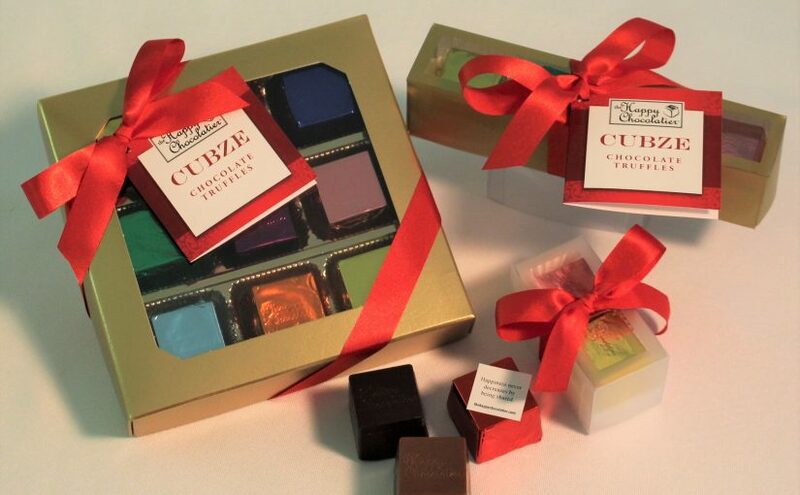 Customers and retail partners have told us that each of our truffle Cubze is like a “gift within a gift…” because of the little witty thoughts about happiness wrapped into each piece. After hearing these thoughts (time and again), we were inspired to create our Valentine’s Day gift collection this year. The windowed chocolate gift collections highlight the shimmering foiled truffle Cubze inside each gold box and come with lovely red bows. The elegant presentation + unique cubed chocolate truffles + inspirational happiness sentiments will make for truly memorable gift for your sweetie this Valentine’s Day! Next Next post: Why a Cubed Truffle?